My name is Tina and I live in Vancouver, Canada. After having worn glasses almost all my life, I made the decision to have LASIK eye surgery in June 2017. This decision was the biggest regret of my life. Instead of the anticipated perfect eyesight, the surgery left me with permanent vision loss, poor night vision, halos, lack of depth perception, sensitivity to light, very dry eyes, and constant headaches. 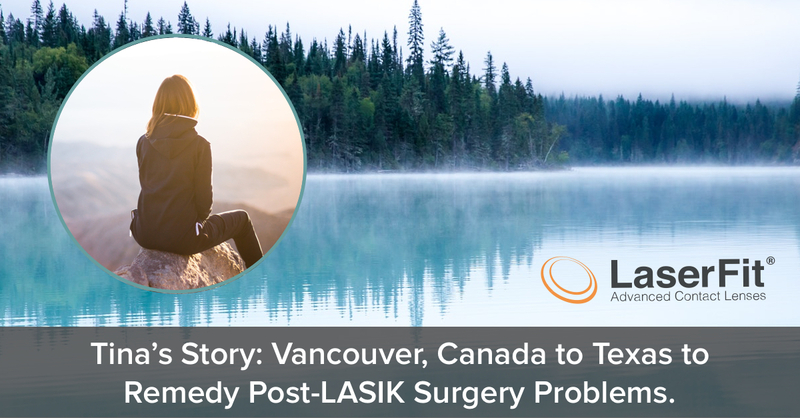 After numerous follow-up appointments, surgeons told me that I had developed severe higher order aberrations/steepened corneas and irregular astigmatism from the LASIK surgery—none of which could be corrected with glasses or regular contact lenses. The months after laser eye surgery were some of the hardest in my life; I sank into depression and despair. No surgeon had answers or could explain what had happened to my eyes, yet I was advised by them to have a second refractive surgery. This recommendation to go under the laser again came with no guarantee of success—just the risk of further complications and a possible need for a corneal transplant. After 30+ eye appointments with various optometrists, ophthalmologists, and refractive surgeons, and months of considering a second laser treatment, I decided to forgo another surgery. Still desperate for answers and a solution, I eventually discovered the world-renowned Dr. Gemoules. After reading countless testimonials and meeting other patients online who had experienced success with Laserfit lenses, I was hopeful that going to Dr. G was my best chance for improved vision. Within weeks of this discovery, I flew to Texas in December 2017 so I could be custom fit for Laserfit lenses over the course of a week. I spent many hours with Dr. G over the five days of appointments; he patiently answered my questions and worked incredibly hard to build the best custom fit sclerals for me. Never have I met a doctor who devotes the time and energy to patients the way Dr. G does; he is a master at his craft and he has honed his skill over decades. The Laserfit technology that Dr. G has pioneered is remarkable, and his scleral lenses were a success for me – I regained vision and all my vision problems were remediated. I flew home from Texas in the early morning hours of Christmas Eve. 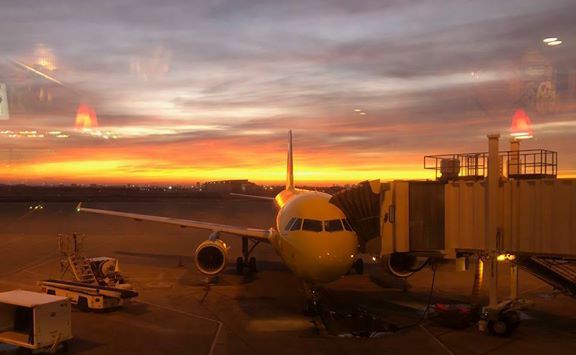 With my new sclerals giving me 20/15 vision, I watched the sun rise over the airplane that was going to take me home. I hadn’t seen the sky’s vivid colours so clearly since my surgery; I savoured the sunrise more that morning than I ever had in my life. It was a moment I’ll never forget. Thank you, Dr. G!